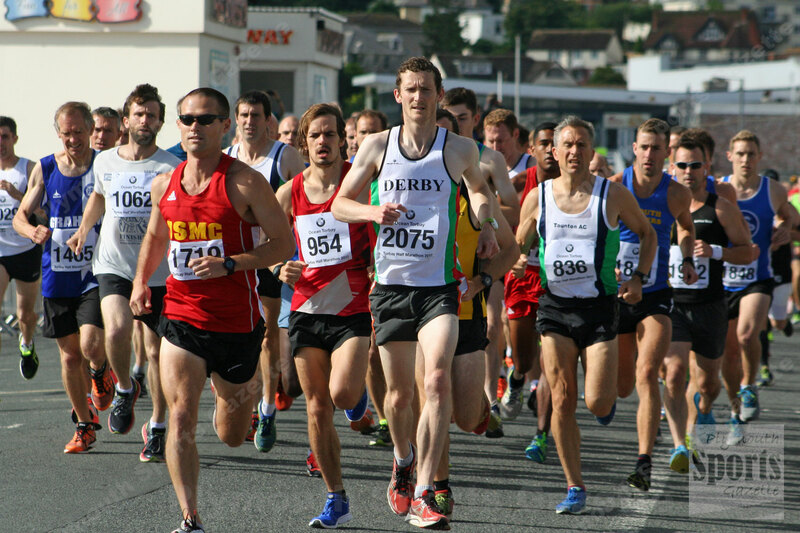 ATHLETES from Plymstock Road Runners, Erme Valley Harriers, Tavistock, Plymouth Harriers and Tamar Trotters claimed honours at the Torbay Half Marathon on Sunday. The popular event saw more than 1,500 runners complete the 13.1-mile course, with many from clubs in the Plymouth and district region. Exmouth’s Tom Merson won the race in 1:10.51, with his club team-mate Berihu Hadera second in 1:12.46 and Taunton’s Phil Burden third in 1:13.00. 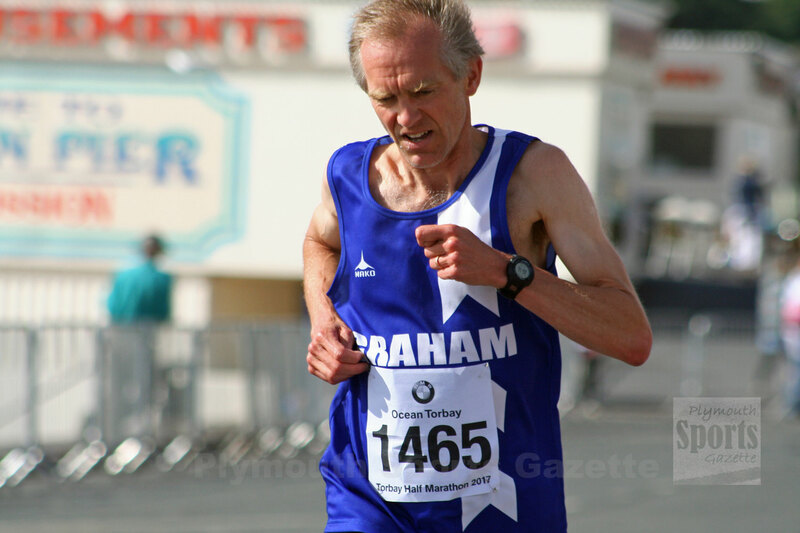 Plymstock’s Graham Bale was first over-50 athlete, crossing the finish line in 1:19.11, ahead of Stuart Hall, who was second over-50 in 1:20.40. Erme Valley’s Andrew Perry took the over-45 title in 1:23.38, while Plymouth Harriers’ Andrew Marshall was second male over-55 in 1:35.52. The women’s race was won by Tiveton’s Serane Stone, who clocked 1:21.52. Just behind her was Bristol’s Annabel Granger in 1:22.47. Torbay’s Charlie Arnell was third women (1:26.43), while Erme Valley’s Alison Thorn was fourth female overall and third over-40 in 1:27.27. Club colleague, Joanna Edwards was first female over-50, finishing in 1:40.58, with Tavistock’s Tracey Oxborough second in 1:41.08. 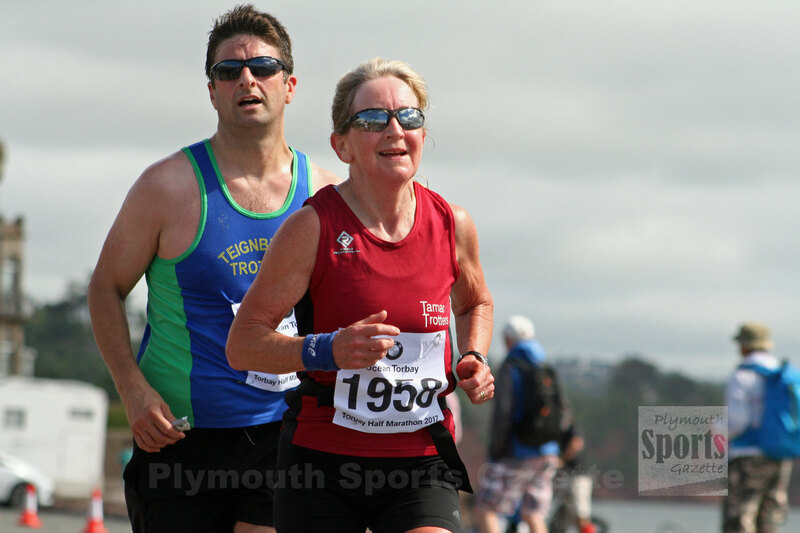 Plymouth Harriers’ Anne Marshall was third over-55, while Tamar Trotters’ Jane Bremner was the runaway winner of the over-60 category, clocking an impressive 1:41.04. Erme Valley finished third women’s team, while Plymouth Harriers’ were fourth men’s team.